Below you can find answers to general questions about applying for, receiving and repaying a short-term loan from Amplify Funding. If you have more specific questions, please contact Customer Service. If you've ever taken out a loan for a car or bought a home, you're already familiar with the concept. An installment loan involves a set number of fixed payments due at regular intervals. For instance, an installment loan for a car might require the borrower to pay $400 on the 15th of every month until the balance is paid in full. How is a short-term installment loan different from a payday loan? Rather than multiple payments scheduled over a period of time, payday loans are typically repaid with one payment due when the borrower receives his or her next paycheck. Payment is made in the form of a post-dated check or automatically withdrawn from the borrower's bank account. Payday loans are very short-term, usually 30 days or less. Short-term installment loans are usually repaid over a matter of weeks or months. Qualifying for a short-term installment loan from Amplify Funding is easier than you might think. If you meet the requirements listed below, it's more than likely that we'll be able to get you the funding you need. * Other requirements may apply. Will I be disqualified if I have bad/no credit? No! Amplify Funding can help borrowers with good credit, bad credit and no credit. We understand that you may have had credit troubles in the past, but we're here to help get you back on track. 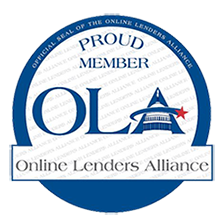 One of our Lending Specialists will contact you and/or you’ll receive an email notification with further information about completing the loan process. What's the maximum amount of money I can borrow? The maximum amount available to qualified first-time borrowers is $1,200. Qualified repeat clients can borrow up to $2,500. In most cases, funds will be deposited into your bank account the business day after your application has been processed and approved, if you meet the cut-off time of 6:00 p.m. CST Monday-Friday. This includes signing your loan documents and completing your verbal verification. To avoid delays, respond to your confirmation email as soon as possible. This email will contain your username and password. If you don't see the email in your inbox within an hour of completing your application, check your spam folder. Call our Customer Service Department at 1-877-558-1999 if you are unable to locate the email. Is my information confidential and secure? Our costs are simple and straightforward. For details on Fees and Rates, please go to our RATES page. Your loan agreement includes a payment schedule detailing amounts and due dates. You are strongly encouraged to pay off your loan as quickly as possible, as Amplify Funding does not charge any early pay-off penalties or fees, and it will reduce the overall cost of your loan. Please call Customer Service for assistance with early pay-offs: 1-877-558-1999. For your convenience, you can have your payments withdrawn directly from your bank account. You can also send a cashier’s check or money order to Amplify Funding, PO BOX 542, Lac du Flambeau, WI 54538. Contact our Customer Service Department at 1-877-558-1999 if you have questions about your payments. If you are unable to make a scheduled payment on time, please contact us as soon as possible to request a three-day courtesy extension. There is no additional fee for this extension, but it is only available once during the life of your loan. What laws apply to loans from Amplify Funding? 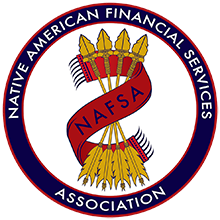 Amplify Funding abides by federal laws and regulations as incorporated by the Lac du Flambeau Band of Lake Superior Chippewa Indians of Wisconsin. How can I save money on my loan? The best way to minimize the cost of your loan is to pay the loan off early. You can pay more than the scheduled amount, make extra payments, or pay the balance in full as soon as you are able. Additional payments must be made in $25 increments. If you are interested in paying your loan off early and reducing the total cost of your loan, please contact one of our Customer Service Agents at 1-877-558-1999. How do I get a copy of my loan documents? You can access your loan documents online any time during the life of your loan by logging into your customer portal page with your username and password. If you have any difficulty accessing your documents, you can call our Customer Service Department at 1-877-558-1999. They can help walk you through the process, or they can email the documents to you. If you need to cancel your loan, you have the Right to Cancel. Call our Customer Service Agents at 1-877-558-1999 by 3:00 p.m. CST the business day after you receive your loan to begin the process of returning the funds interest-free. If you miss the Right to Cancel deadline, you can still pay off your loan early without penalties and pay only the interest you’ve accrued up to your pay-off date.